The following article describes various opinions regarding the kashering–making kosher-of cabinets, drawers, and countertops. When it comes to deciding which custom to follow, it is advisable, as the author notes, to discuss the matter with a rabbi. Reprinted with permission from How to Keep Kosher (HarperCollins). Cabinets do not generally hold heated food. Therefore, they can be kashered relatively easily. Kashering basically means cleaning. Remove everything and wash the shelves and the sides. If you use shelf or drawer liners, discard the current ones and replace with new liners. Let them sit, empty, for 24 hours, then put away the food. Unlike cabinets, countertops do get exposed to heat. For example, if you have a heat-resistant countertop, such as wood or granite, you might put a hot pot directly on it. Or the hot ingredients inside a pot–soup, stew, hot cocoa–might spill onto it. The material that your counter is made of determines whether or not it is kasherable. Regardless of the matetial, you need to clean countertops thoroughly and let them sit, unused, for 24 hours. 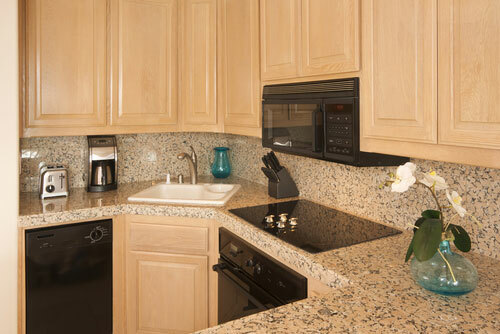 Countertops today are made of a myriad of materials. According to Conservative rules, all countertops are kasherable except for those made of tile, since it is earthenware. According to some Orthodox rulings, certain types of counters cannot be kashered. Materials that are not kasherable include the very common Formica, quartz and resin amalgamations such as Silestone, and mineral and acrylic polymer composites such as Corian. These all fall under the category of plastic, and plastic, according to some Or­thodox tenets, cannot be kashered. Some do say that Corian can be sanded down and can be kasherable in that way, but opinions vary. Opinion is mixed as to what “not kasherable” means in terms of how to use that counter in your kosher kitchen. One Orthodox rabbi I spoke with said such counters should be covered, usually with Contact paper. Another Orthodox rabbi I spoke with said while such counters are not kasherable, it doesn’t matter; they do not need to be kashered because of how countertops are used. One school of Orthodox thought is that plastic only becomes unkosher if used directly on a fire, which does not apply to a countertop. The countertop may have been splashed with hot unkosher liquid, but in order for that splashed liquid to affect the kashrut status of the countertop, it would have had to be still boiling when it landed on the countertop; invariably, this is not the case, as splashes cool quickly as they travel. By the time they reach the countertop, they would not be hot enough for the Formica to have absorbed the secondary heat. According to this stance, the countertop is not really treif [unkosher], and the cleaned countertop does not need to be covered with Contact paper. However, since there are disagreements about how to treat a Formica-type countertop when kashering your kitchen, check with the rabbi helping you kasher your kitchen. Wood counters are kasherable but a challenge. According to both Conservative and Orthodox rules, you need to shave the surface and plane it to even it out, sanding away any cuts and scratches in the wood so they are no longer visible. You need to wash it with both soap and water and bleach, then wait the requisite 24 hours. Metal, stone, and wood countertops, and Formica and other “plastic” countertops, if you are following Conservative tenets, can be kashered through irui [infusion]. Heat a kettle of wa­ter to boiling, and pour the boiling water over the entire countertop. Yes, this can get messy, so make sure you have a bunch of clean rags or towels on the floor to absorb all the water. Regardless of the material your counter is made from, most rabbis recommend that you do not place hot pots or pans directly on the countertop. Rather, place them on ded­icated trivets.